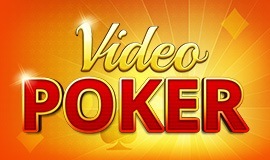 Poker is without a doubt the most popular card game in the world. Although poker games only began appearing in literature in the 19th century, it has long been known that such games have been played for years wherever men have gathered. Initially known as Stud or StudHorse, the name “Poker” began to be used regularly in the 20th century, after it appeared under that name in the handbook "Practical Poker", penned by R.F. Foster. Internet Users Love Free Games – and Poker Games Online Rule! The popularity of poker is growing from year to year. Prestigious tournaments are distinguished not only by the number of participants they attract – but above all by the winnings on offer. The most famous tournament, the World Series of Poker, has been taking place for nearly half a century. Interest in this kind of entertainment should come as no surprise, with the prize for winning currently standing at a mere $10 million. 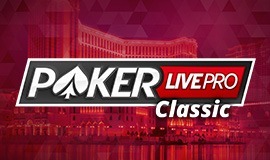 On the Poker tournament map it’s also worth mentioning the World Poker Tour, held in Las Vegas, PokerStars Caribbean Adventure, and European Poker Tour – the latter played on the Old Continent. The game of poker in all its forms is a guarantee of emotion with a capital E, but equal excitement can be gained by watching the best players at the game. Poker tournaments are regularly broadcast on TV sports channels, and poker is spreading like wildfire on social networking sites. The American show "Poker After Dark," of which more than 350 episodes have so far been broadcast, enjoys unflagging popularity. The programme shows play from NBC's Poker games, and the tricks of the trade of the real professionals. Today's Poker is radically different from the original version, which is mainly due to new versions of this popular card game. It’s worth noting that the growing popularity of Poker games online has prompted an evolution in the game. In many versions it is a game in which mathematical and logical skills are prized as much (if not more) than a player’s cleverness and psychological ability. At least two players are needed for a round of Texas Hold ‘em. A deck of 52 cards is used. One player is the dealer, the person who distributes the cards. The players to the dealer’s left bet big blind or small blind (depending on the place at the table), which are bets placed “blind”, before seeing any cards. When the bets have been placed, each player is dealt two cards face down. After checking the value of their cards, the poker players begin betting. Players can fold, raise or check opponents. Next, community cards, available to every player, are dealt onto the table. This is followed by further betting, after which victory goes to the player with the best hand. Omaha poker games are similar to Texas Hold'em. Each player is dealt four hole cards, which they use in combination with cards on the table to create the best possible hand. The Omaha poker player must use two cards from their own hand, and three from among the community cards. 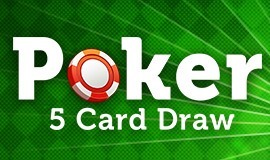 Five card draw poker can be played with decks of 52, 32 or 24 cards. After shuffling the pack, each player is dealt five cards. Then, players discard the cards from their hand that they don’t want. They may discard all of them, but however many are rejected, the same number must be drawn from the remaining cards in the deck. The winner is the person who makes the best hand, according to the hierarchy of combinations. After Texas Hold 'em, Seven Card Stud is the most popular of all poker games. Until recently, Stud was synonymous with the classic game of poker. First, each player draws a card to determine the order of play. Then they are each dealt two cards face down from the deck, and one face up. This happens four times, after which players reveal their best hand. In between each deal, players bet and can raise the stakes. 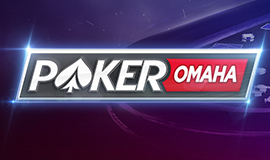 In this version of Omaha, players are dealt four hole cards, and five further cards are dealt face up onto the table. To create a hand, players must use two of their own cards from your hand and three from the community pool. The main difference is that the pot is split between the player with the best low hand and the best high hand, hence the name High-Low. 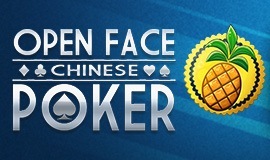 This is the most popular and well-known variety of Chinese poker. To win, a player must build three hands of cards. The lower and middle rows should consist of five cards, and the upper of three. Play starts with five cards, which can be placed in any order – but note that you cannot change your mind once you have arranged your cards. The lower hand should be stronger than the middle, and the middle stronger than the top. If you don’t do this, you lose (foul).